Nearly 40 volunteers from the Memphis, Tenn., area recently repaired The Cottage at Germantown United Methodist Church, Germantown, Tenn. The Cottage serves as part of Room in the Inn—Memphis, a nonprofit network of churches that provide free overnight shelter and meals to the homeless. 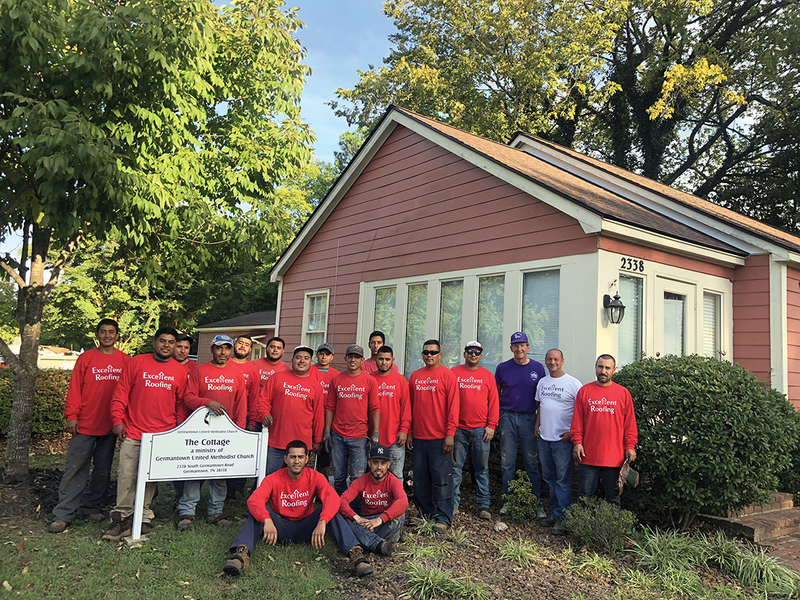 Led by John Bennett, owner of Excellent Roofing, Memphis, the volunteer team tore off the old roof system; replaced rotted wood; repaired and replaced flashing; installed a new asphalt shingle roof system; replaced several vent pipes, covers and boots; and installed new gutters. Excellent Roofing donated labor and helped secure the new shingles at cost. "Our company takes pride in giving back to our community," Bennett says. "We have the attitude of serving others and doing our best, and it's especially meaningful to help those who don't have a place to live."